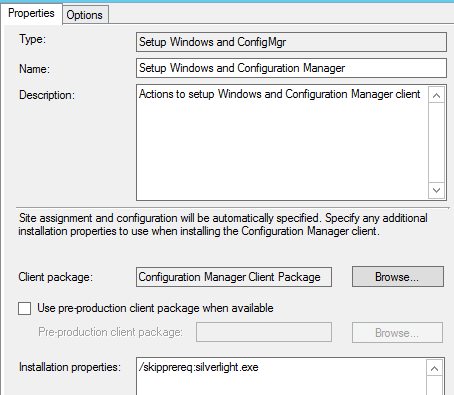 ConfigMgr 1511 comes with a new version of Software Center. There are several advantages to this new version. First, it will now show both user and device deployments, meaning that your clients no longer need to go to the Application Catalog webpage. Second, it no longer requires Silverlight, which Microsoft deprecated earlier this year. You must enable the new Software Center. To do this, open up your client settings by going to Administration > Client Settings. This is a device setting, so select the appropriate settings package. Now, under Computer Agent, find the option that says “Use new Software Center” and set it to “Yes”. That’s it. 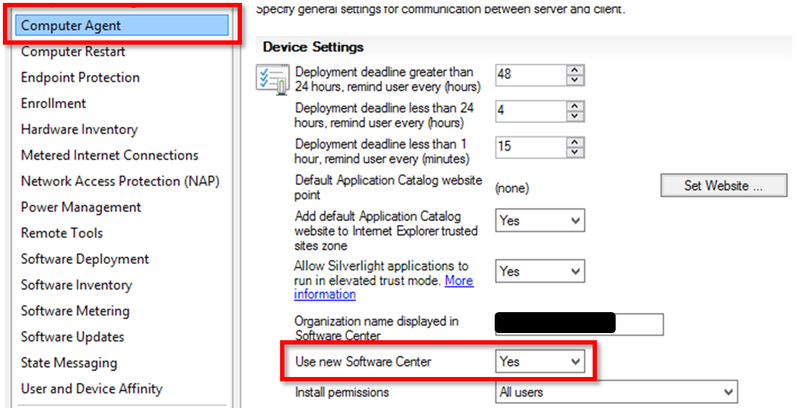 Once your devices update to the latest version of the SCCM client (5.00.8325.1000 or later), this policy will take over. One important note: if you have shortcuts defined anywhere for an old version of Software Center (one that points to C:WindowsCCMSCClient.exe), this shortcut will still open the old version of Software Center. If these shortcuts are required, I would suggest recreating them as files pushed by SCCM or Group Policy. This link will only function if you set the “Default Application Catalog website point” option in the screenshot above.